Next in the list of auspicious yogas is Panch-Mahapurush Yoga. A Yoga which can make a person great for the things related to the house in which this yoga is occurring. 1. Ruchaka Yoga - When Mars is placed in Capricorn (exaltation sign) or in Aries/Scorpio (mool trikona and own signs) and in Kendra Houses, then it is called Ruchika Yoga. 2. Bhadra Yoga - When Mercury is placed in Virgo (exaltation/mool trikona/own sign) or in Gemini (own signs) and in Kendra Houses, then it is called Bhadra Yoga. 3. Hansa Yoga - When Jupiter is placed in Cancer (exaltation sign) or in Sagittarius/Pisces (mool trikona and own signs) and in Kendra Houses, then it is called Hansa Yoga. 4. Malvya Yoga - When Venus is placed in Pisces (exaltation sign) or in Libra/Taurus (mool trikona and own signs) and in Kendra Houses, then it is called Malvya Yoga. 5. Shasha Yoga - When Saturn is placed in Libra (exaltation sign) or in Aquarius/Capricorn (mool trikona and own signs) and in Kendra Houses, then it is called Shasha Yoga (like in picture given, Saturn in Capricorn in 1st house). 1. When these planets are in the exalted signs in Kendra Houses then it is the highest level of Panch-Mahapurush Yoga. 2. When these planets are in the mool trikona signs in Kendra Houses then it is the 2nd highest level of Panch-Mahapurush Yoga. 3. 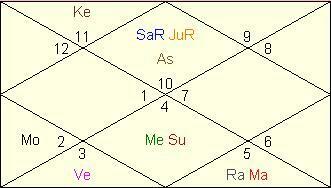 When these planets are in the own signs in Kendra Houses then it is the 3rd highest level of Panch-Mahapurush Yoga. Nullification - This yoga nullifies to a great deal if these 5 planets are sitting with Sun or Moon. Likewise, aspects from other planets also impact the fruits of this yoga. 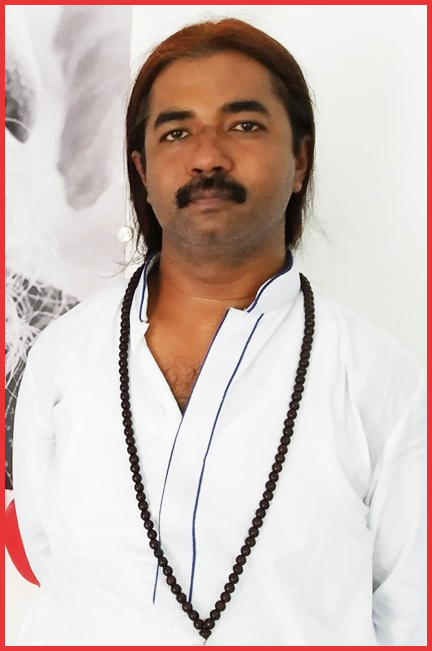 Results - Panch-Mahapurush Yoga actually means the person will be great one and dedicated to the cause of the things related to the house and sign in which this yoga is occuring. Like any other yoga, results of this yoga will also be seen during the Mahadasha/Antardasha of planets involved. @ May - I consider from lagna. Is it calculated from lagna only or can it be calculated from moon too?